← A Setting A Day – Day 5 – Fab Sea Glass Rings ! Half drilled pearls are great fun to use and look wonderful. Anyone who has been on any of our workshops will know that I am very anti glue but this is one time I use it. 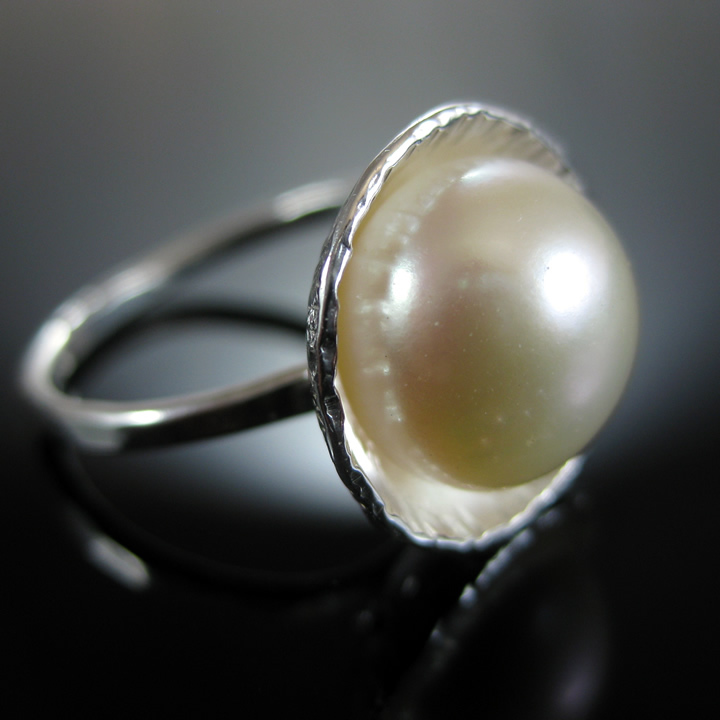 Pearl Ring – I cut a silver disc and textured it with a riveting hammer then used a doming block to bowl it then pickled the bowl. I then checked which wire was the best fit for the pearl and soldered a wire in the middle of the bowl and cut it down until it was the right length. I formed the ring and soldered it onto the back of the bowl and pickled and polished the ring. 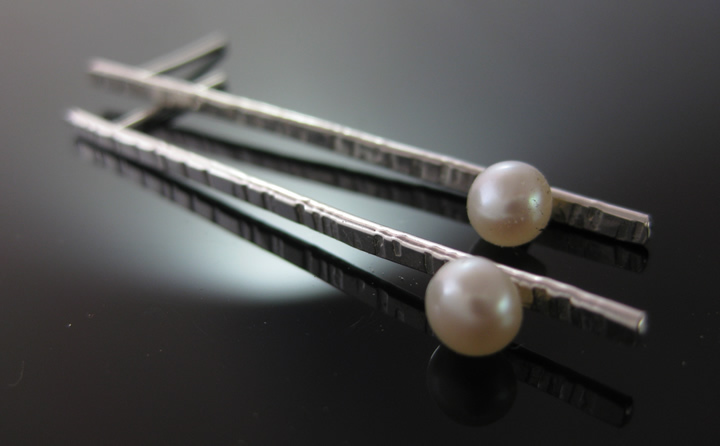 Here are a couple more examples – Earrings I have made using half drilled pearls. 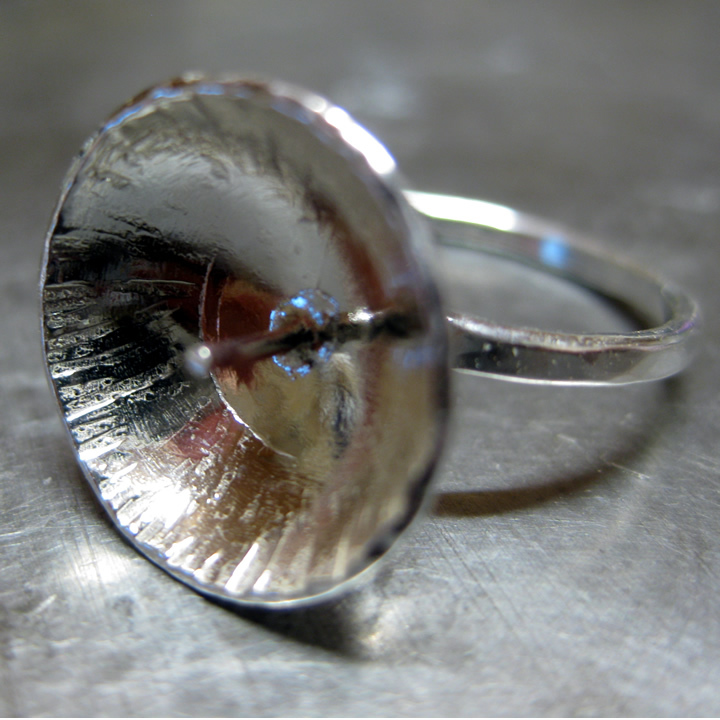 Jewellery Making Workshops – This technique can be included in our Introduction to Silversmithing and Stone Setting workshops. 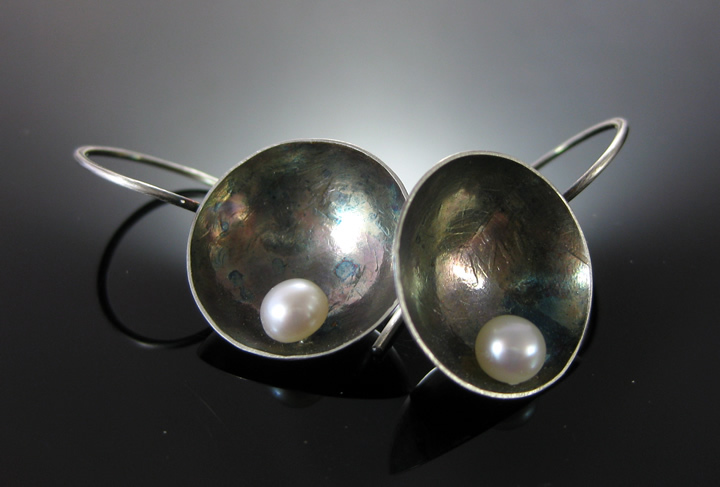 This entry was posted in Earrings, Oxidised, Rings and tagged pearls, setting, setting techniques. Bookmark the permalink.